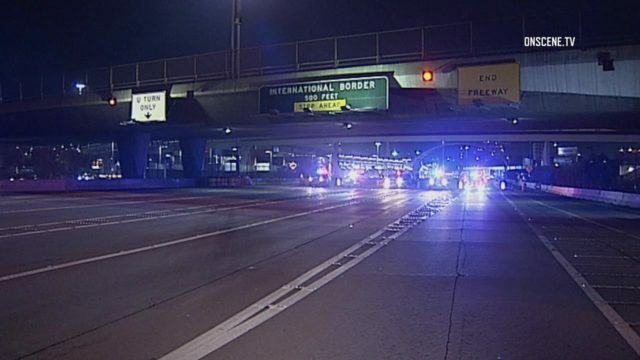 A southbound lane of Interstate 5 at the San Ysidro Port of Entry will be shut down for three days next week during off-peak hours as part of construction at the border. The right lane of I-5 South will be shut down just after the Camino De La Plaza overpass from 4 a.m. to 2 p.m. Jan. 10-12, according to the U.S. General Services Administration. The closure will allow for construction work to continue as part of the border station expansion project. Three of the six northbound lanes on the 5 Freeway will continue to be closed at the port from 10 p.m. to 4 a.m. as part of the work. Those nightly closures are scheduled to end on Feb. 1.